She calls me the 'lighthouse of hope'. Guess who is the light? Some people have the ability to light up a room by their mere presence. The rarest of rare have the precious gift of lighting up a soul and setting it free. Yes, some mentors have that kind of impact. Without being overbearing, she makes each step of mine easier. Mine was a cathartic journey. What an inspiring influence to have to light up the path! It was an important juncture of life when I had begun writing my first book, a book that has considerable social significance. She too is committed to the cause and graciously volunteered to coach me during this crucial period. 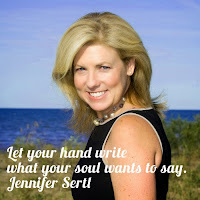 Jennifer Sertl is an internationally reputed Author, Keynote Speaker and business strategist. 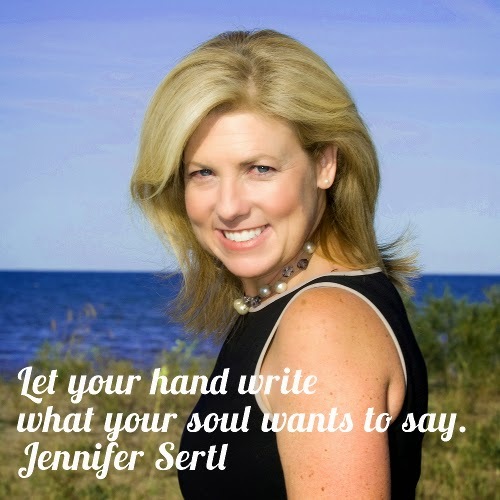 She is a thought leader in the emerging field of corporate consciousness and a recognised influencer in social media.Jennifer is President and Founder of Agility 3R which helps leaders become more resilient, responsive and reflective. If she focuses on the 3R's in course of her coaching, what do I make of her as a person? I have the great fortunate of being coached, cajoled and lovingly coerced too, at times in course of video conferencing sessions. These sessions are worth their weight in gold- at a time when the mind is tentative, this brilliant soul has stood by my side to guide me. It is her coaching that germinated the three magical mantras of 'Authenticity','Vitality' and 'Compassion' for my path forward. She is nothing short of an icon to me, and shall remain so well after the mentoring is officially done with. Well, wisdom gained is a long term asset which appreciates over time, isn't it? I attempt here to describe what I find so special about her as a mentor. I would replace the '3R's' with '3i's' for my 'i'con. intellect: rarely does one come across a woman (no I am not being sexist) of such intellect. Her capacity to incisively analyse like a surgeon operating with a laser, cut through the confounding fuzz of facts and get to the essence is remarkable! I found that to be her single most amazing quality. As in a surgery, this happens in real time during the sessions, not after much deliberation. She also has the uncanny 'dual focus' ability, so rarely found in leaders. This rare gift helps her to scan the horizon as well as take in the smaller details almost simultaneously. 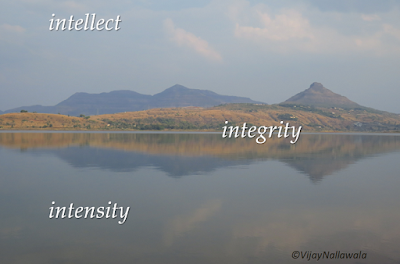 I have benefited immensely from insights: truly path-breaking thoughts and ideas. "Sometimes, it is better to be wise than to be nice." This gem of advice by her was when I was torn between choices I had to make and it nudged me into taking that troublesome decision. 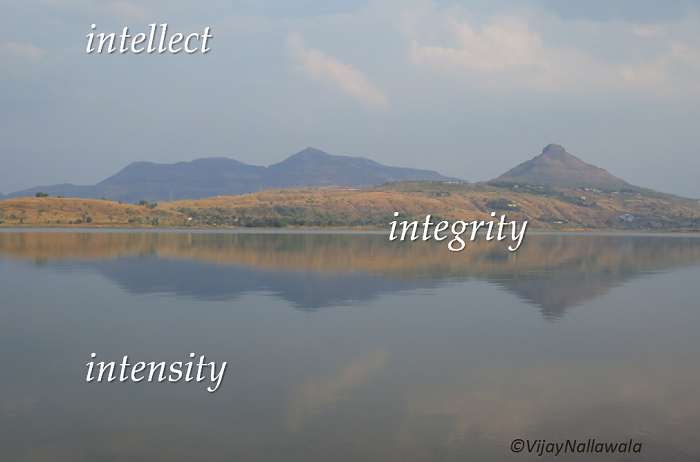 integrity: a mentor's integrity must be beyond reproach. Only then can one fully trust the advice and guidance received as well as intentions behind them. That kind of person has to be herself sure of her identity and be in alignment with her authenticity. 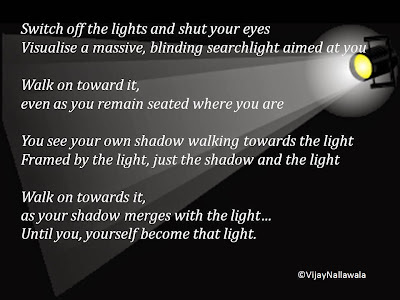 Adhering to one's pure, authentic self and to one's chosen path unaffected by the alluring distractions of the manipulative world calls for an inner conviction of the highest caliber. I benefit hugely from these sterling attributes of hers. Her reflective nature has also empowered her with the wisdom of thinking beyond herself, of realising that she has so much to offer to causes dear to her. Being a private person, to my knowledge, she hasn't publicised these contributions. She does all this with staggering humility and grace, so rare in today's times.I had first hand glimpses of her sensitive and empathetic side too. intensity: I wonder how she juggles around with time to get so much out of it! I say this because her speaking and coaching assignments entail globetrotting and if those were not challenging enough she is well connected with thought leaders spread across the world and actively engages in collaborative initiatives. It could well be that she is so well sorted out 'within' that she puts in everything in her interactions..it appears as if there are no doubts tugging at her, so sure she is of herself! This is why probably, her enthusiastic brainwaves rubbed off on me and had me so committed to them. With her sharp focus and sense of priorities, Jennifer manages to balance personal and professional calling beautifully. I am myself privy to insights on this front in course of my coaching. As I write this, I cannot help but wonder how much of the Book, which is now ready for publishing, is written by me and how much have you contributed to it with your insights! I would not sully our friendship by saying that I shall forever be in debt, Jennifer, but grateful, yes, to have experienced the magic. I end this with a small gift for my soul sis. Yes, God has been kind to me!